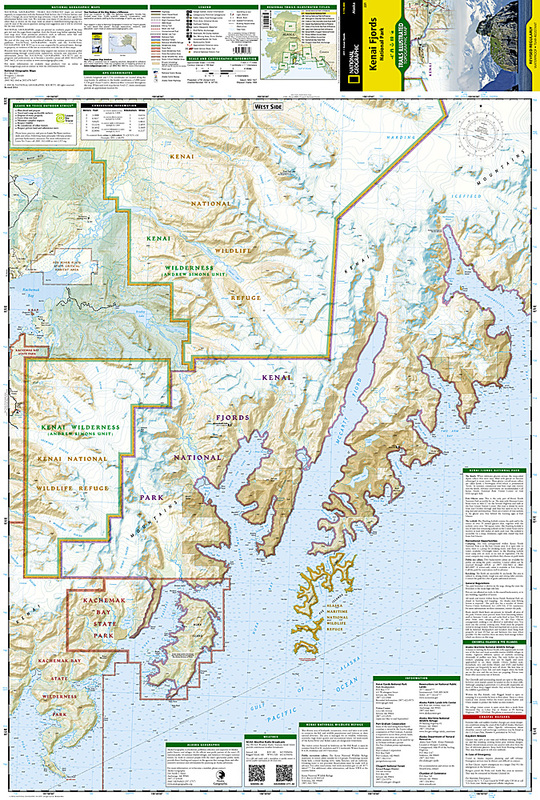 Kenai Fjords National Park Map [ti231] - $10.95 : Trail Explorers Outpost, Keeping the Adventure Alive! 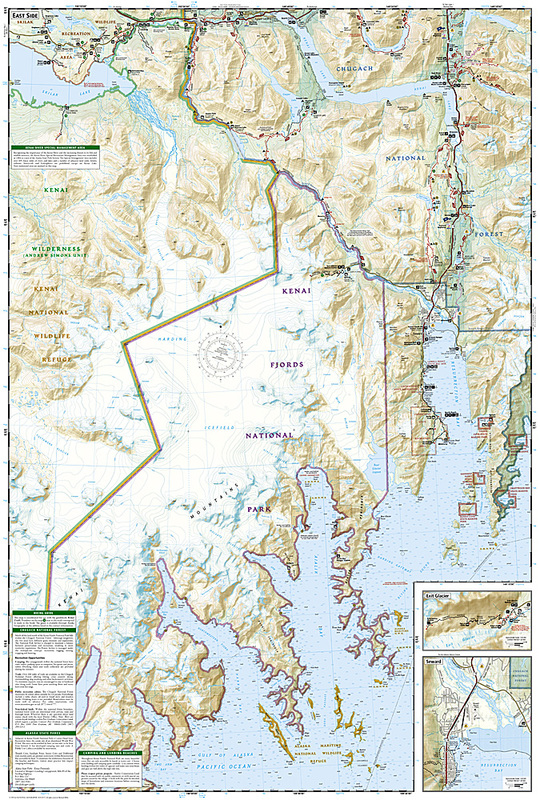 National Geographic’s Trails Illustrated map of Kenai Fjords National Park is an essential travel companion for outdoor enthusiasts looking to explore the pristine scenery in this area of southern Alaska. Expertly researched and created in partnership with the National Park Service, U.S. Forest Service and others, the map covers popular recreation and adventure points of interest, such as Harding Icefield, Exit Glacier, Resurrection River and Bay, as well as the adjacent Kenai National Wildlife Refuge, Kachemak Bay State Park and Wilderness Park, Chugach National Forest and Skilak Wildlife Recreation Area. Inset maps of Exit Glacier and Seward provide extra detail of these areas. The map will guide your exploration, whether on land or on water. Hikers, bikers and ATVers will find clearly marked trails with mileage markers, in addition to contour lines, elevations, labeled peaks, glaciers and crevasses. The Iditarod National Historic Trail and Seward Highway Scenic Byway are both marked. Boaters and kayakers will benefit from the sounding information, tidal flats, boating hazard areas, island locations and pinpointed seabed formation warnings, beacons, anchorage spots and boat ramps. Other recreation points of interest include trailheads, campgrounds, public cabins, food storage lockers, ski trails, waterfalls and scenic viewpoints. The map also includes background information, QR codes for real-time weather and essential contact information. Other features found on this map include: Aialik Bay, Bear Glacier, Chernof Glacier, Chiswell Islands, Chugach National Forest, Harris Bay, Kenai Fjords National Park, Kenai Lake, Kenai Mountains, Kenai Peninsula, McCarty Glacier, Nuka Bay, Nuka Island, Pye Islands, Resurrection Bay, Skilak Glacier, Skilak Lake, Tustumena Glacier. Flat Size 25.25" x 38"